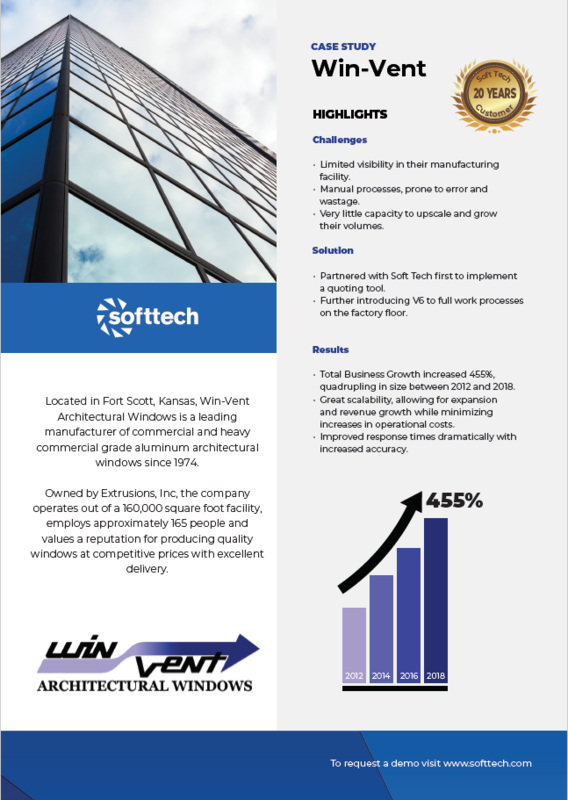 Nobody can see the future but when Win-Vent first implemented Soft Tech V6 software to take control of the manufacture of custom architectural windows, the decision proved prescient. 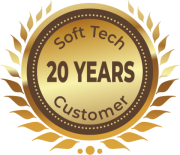 Some two decades after first installing the solution, the company has grown far beyond expectations, with a particularly strong performance in the years since 2012, and Win-Vent credits Soft Tech and V6 for enabling its expansion. Win-Vent is a rapidly expanding business, explains Drew Clark, Inside Sales Manager at the company. “Since 2012, when I joined, we’ve more than quadrupled in size,” he reveals. With a core value proposition of consistently providing the sort of service which keeps customers coming back for more, a system which improves efficiency and performance while delivering complete visibility is indispensable. It was in the late 1990s that Win-Vent first installed Soft Tech’s V6. Clark says the software worked well for Win-Vent when it was a smaller company and has scaled seamlessly to meet the requirements of a now much larger business. It is in part thanks to the software that the company has experienced a total business growth increase of 455% between 2012 and 2018. “Some of the best features are the documentation that V6 provides, like costing and billing of materials. And the optimized cutting plan is huge, as it helps us get the most out of metal extrusions and therefore boosts productivity and profitability,” enthuses Clark.